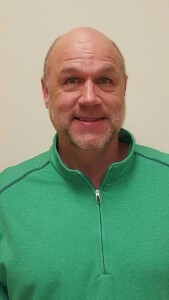 About Overland Park Dentistry - Charles R. Kimes, D.D.S. Dr. Charles R. Kimes and Associates are committed to providing the highest quality dental care using the latest technology. When you come to one of our Overland Park Dentistry locations, you will find our office relaxing and our expert team warm and friendly. We treat our patients like family. With a soothing chair-side manner, the team members at Dr. Kimes and Associates will take the time to answer any questions you have. We offer the most modern, natural-looking options available, from teeth whitening to porcelain veneers and dental implants. Whether you seek a smile make over or would like to schedule exams and cleanings for your whole family, we can help! Born and raised in the Kansas City area, Dr. Charles R. Kimes earned his B.S. in 1979 at the University of Missouri at Kansas City. After receiving his undergraduate degree, Dr. Kimes attended dental school and received the “Jim Carter Award” for distinguished service in the Psi Omega National Dental fraternity in 1982. In 1983, he earned a special achievement award from the UMKC Dental Alumni Association in recognition of significant contribution to the dental education program. Dr. Kimes received his D.D.S. in 1984 from the UMKC School of Dentistry. The true Overland Park Dentist, Dr. Kimes, began his private dental practice in the Downtown Overland Park area and opened a satellite office in Sedalia, MO in 1985. In 2004, Dr. Kimes opened a south Overland Park location and continues to work with his patients at all three practices every week. Dr. Kimes is licensed in the states of Kansas and Missouri. Currently, he resides in Overland Park with his wife (Tami), son (Kevin) and daughter (Jaclyn). I was born and raised in the Overland Park area. Growing up I attended Shawnee Mission South High School. After graduating from Kansas State University I attended UMKC Dental School. I then began my private practice in Overland Park where I was blessed to serve my patients for over thirty years. After selling my practice I was fortunate enough to join Overland Park Dentistry, as I have known Dr. Kimes for many years. We both attended the same dental school and are colleagues in the local Kansas Dental Association’s Fifth District. Even though I now only practice part-time, I still feel I have a lot to offer my patients. I receive a tremendous amount of joy and fulfillment in treating and serving them. My hobbies have changed over the years, but I have always been an avid golfer and local sports fan. I also get a lot of enjoyment working with some of the local charities. But my true hobby and love is finding as much time as I can to be with my wife, Teresa, and I’s four granddaughters, and counting! I am excited to be part of The Team at Overland Park Dentistry and look forward to meeting you! 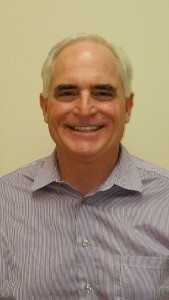 Dr. Mark Handley became fascinated with dentistry when he first walked into his orthodontist’s office to get braces. “From the age of 12, I began my journey of becoming a dentist,” he says. Dr. Handley developed a curiosity and love for science, especially biology, in elementary school. He pursued his dream at The University of Kansas and then graduated from the UMKC School of Dentistry in 1986. For Dr. Handley, the highlight of his job is helping nervous or fearful patients and surpassing their expectations. “I am unhappy with myself if I do not give every patient a completely painless injection,” he says. Dr. Handley is continuously learning new ways to help people through technique and technology because he believes the patient’s comfort and confidence matter most.